4. A single recycled plastic bottle saves enough energy to run a 100-watt bulb for 4 hours. It also creates 20% less air pollution and 50% less water pollution that would be created when making a new bottle. 5. Recycling plastic saves twice as much energy as it takes to burn it. 6. It only takes 5 recycled plastic bottles to make enough fiberfill to stuff a ski jacket. 7. Motor oil never wears out, just gets dirty – it can be recycled. 8. The U.S. recycling rate is around 34.5%. If we’re able to get the rate to 75%, the effect will be similar to removing 50 million passenger cars from U.S. roads. 9. Over 11 million tons of recyclable clothing, shoes, and textiles make their way into landfills each year. 10. The leading cities for recycling in the US are (#1) San Francisco, CA (#2) Boston, MA (#3) Chicago, IL (#4) Denver, CO and (#5) Portland, OR. 11. The leading countries for recycling rates are: (#1) Switzerland [52%] (#2) Australia [49.7%] (#3) Germany [48%] (#4) Netherlands [46%] and (#5) Norway [40%]. The United States comes in around 31.5%. 12. 9 out of 10 people said they would recycle if it were “easier”. 13. 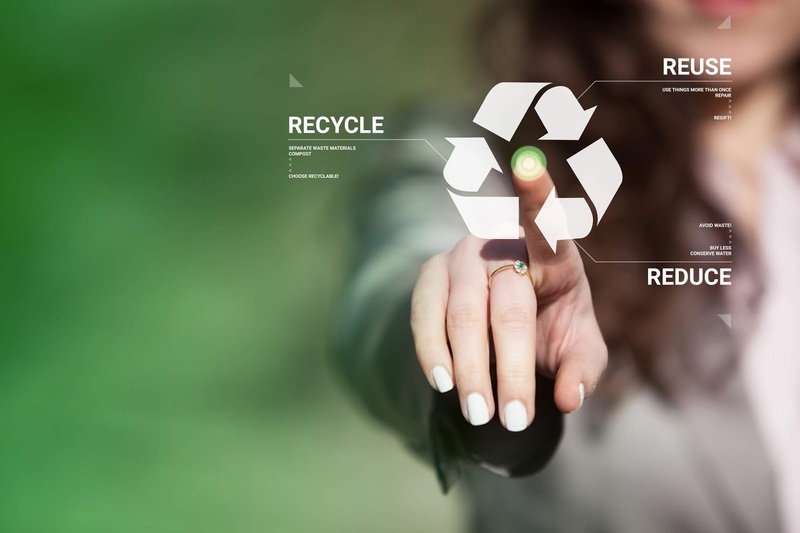 Studies indicate that women typically express more concern for the environment and are more likely to recycle than men on average. 14. The United States throws away $11.4 billion worth of recyclable containers and packaging every year. 15. In the United States, we throw away 2.5 million plastic bottles every hour – about 42,000 per minute, and about 695 per second. 16. It takes 500 years for average sized water bottles to fully decompose. 17. The amount of plastic film and wrap produced annually could shrink-wrap the state of Texas. 18. The energy it takes to make 1.5 million tons of plastic could power 250,000 homes. 19. There are 25 trillion pieces of plastic debris in the ocean. Of that, 269,000 tons float on the surface, while some four billion plastic microfibers per square kilometer litter the deep sea. 20. According to a study done by the University of Georgia, 18 billion pounds of plastic trash winds up in our oceans each year. To put that in perspective, it’s enough trash to cover every foot of coastline around the world with five full trash bags of plastic…compounding every year." Let's all do our part to help keep the landfills free of recyclable items. For more information on waste and recycling visit www.wasteawaygroup.com. Do you have a list of sources?